After many months of building anticipation, Canyon has finally updated its popular Strive enduro bike. 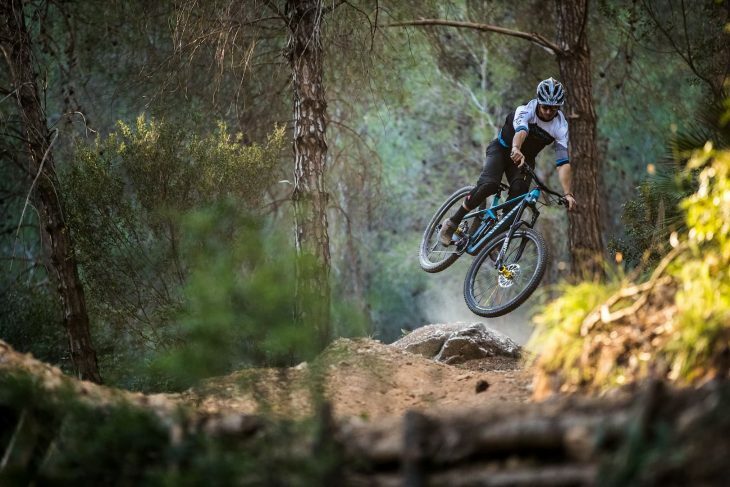 The big news is the move up to 29in wheels, which are increasingly becoming the preferred choice for high-level racers on the Enduro World Series circuit. There’s been a massage of the suspension travel, with the Strive getting 150mm at the back and either a 160mm or 170mm travel fork up front depending on the model. On paper, that puts it right in between the current Spectral all mountain bike (150/140mm) and the Torque freeride bike (180/175mm). Most surprising though, is that the new Strive doesn’t share the same Canyon signature design as the Sender, Torque, and Spectral. But there are some good reasons why. Oh, so that’s how you’re meant to look. The Canyon Strive has been in the Canyon range, unchanged, for a pretty long time and we weren’t surprised to learn that the German brand had been working on a replacement. What did surprise us though is just how visually similar the new Strive is to the old one. We’re told that there are a few good reasons the 2019 Canyon Strive looks different from the rest of the range. 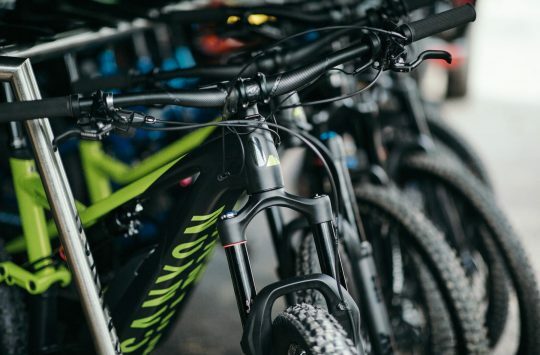 For example, the new Strive gets an updated Shapeshifter function and this four-bar suspension layout was the best suited for the feature, rather than the newer Triple Phase Suspension layout that you’ll find on the Spectral and Torque. Another reason is that Canyon wanted to ensure that the Strive looked different enough from other bikes in the range and visually separate models from one another so there was no crossover or confusion when choosing a bike. 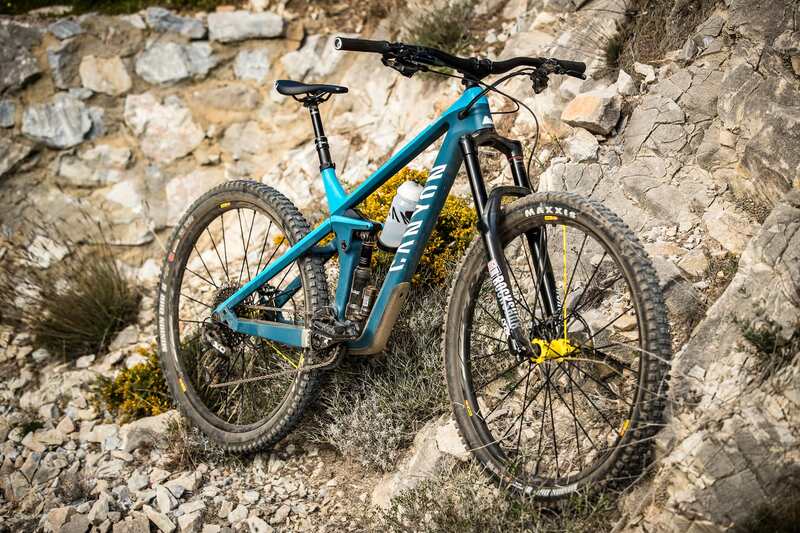 Given the Strive comes within 10mm of the Spectral’s suspension travel, that makes total sense. Fabien rides a CFR, as you would expect. There are six versions of the 2019 Canyon Strive available. 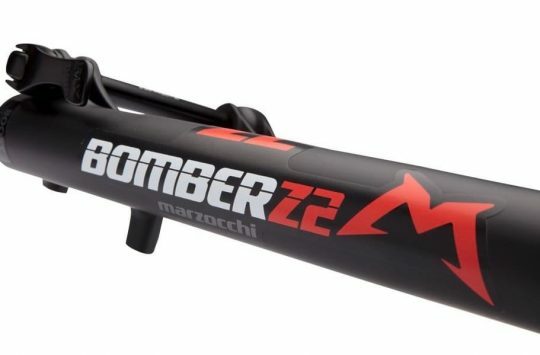 Four models will ship with a CF (Carbon Fibre) frame and the two higher end models get a CFR (Carbon Fibre Race) frame. You’ll immediately notice that there isn’t an alloy version offered. Canyon says that to make an alloy bike with the same features, weight and strength as the carbon frame would cost just as much. And how many people would buy an alloy bike when the carbon one next to it is the same price? All new Strives come with a built on downtube bash guard, internal cable routing, a threaded BB shell and space for a water bottle. 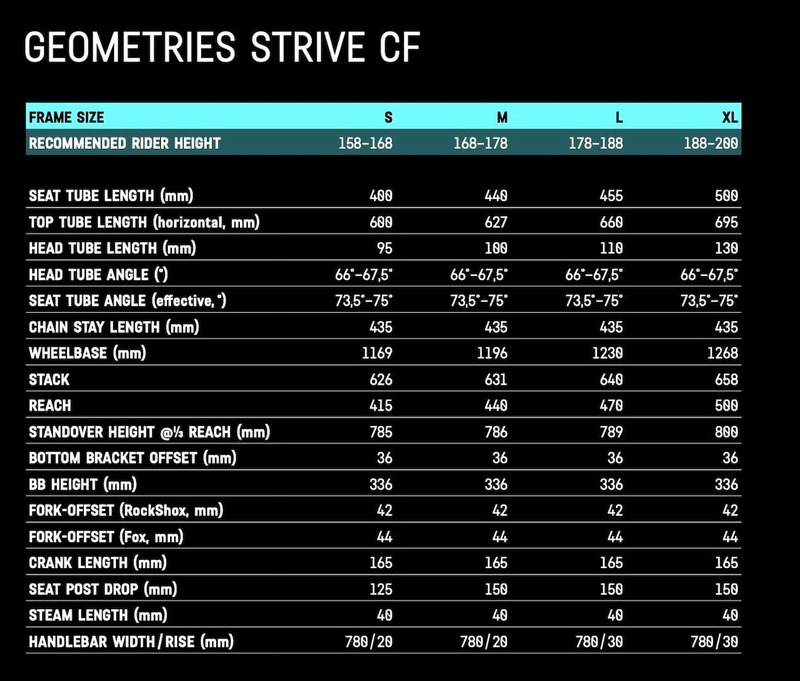 CFR bikes get 170mm of front wheel travel. CF bikes will ship with 150mm of rear wheel travel, a Fox manufactured Shapeshifter shock, and 160mm of travel up front. The CFR, R for the race, uses a higher grade carbon fibre material meaning that Canyon can build the frame to the same strength but 300g lighter. To further differentiate the bikes, CFR models will have longer travel 170mm forks fitted. All six variants of the 2019 Canyon Strive run on larger 29er wheels and use short offset forks. Rockshox equipped bikes get a 42mm offset while Fox spec bikes have a 44mm offset. Each bike will come equipped with Canyon’s new Shapeshifter 2.0 system, which consists of a Fox manufactured piston, an updated linkage and kinematics, and a completely overhauled bar mounted lever system that is compatible with dropper post levers. 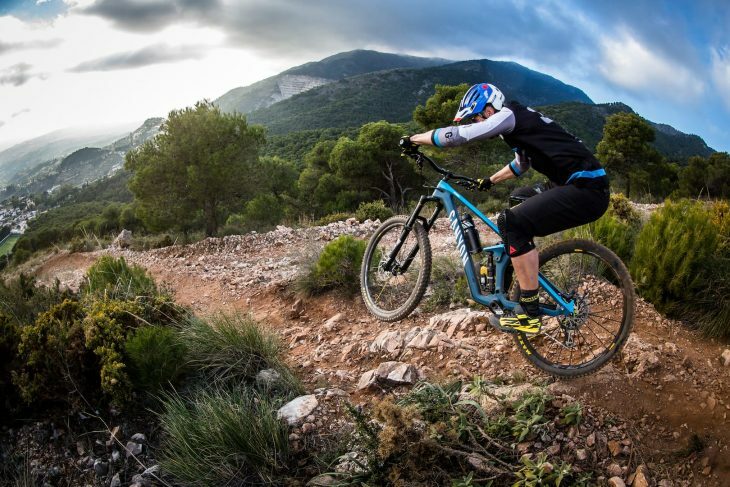 We’ve got full details of Shapeshifter 2.0 here, but basically, the system allows the bike to be set in either DH or XC mode. In DH mode the Strive has a 66° head angle and 150mm of rear wheel travel. When switched to the XC mode, the head and seat angles steepen by 1.5° and the rear wheel travel drops down to 135mm. 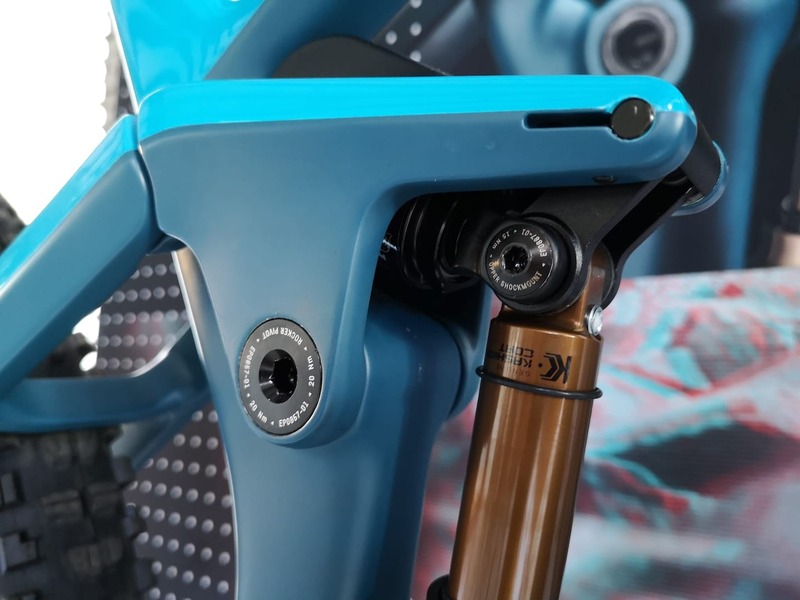 XC mode also adds more anti-squat to the suspension system for more efficient climbing without touching the tune or settings of the rear shock. Geometry wise the 2019 Strive isn’t an extremely slack bike compared to some models, but it has been given a huge boost in top tube length. Four frame sizes ranging from S-XL will be available with reach numbers starting at 415mm and maxing out at 500mm. 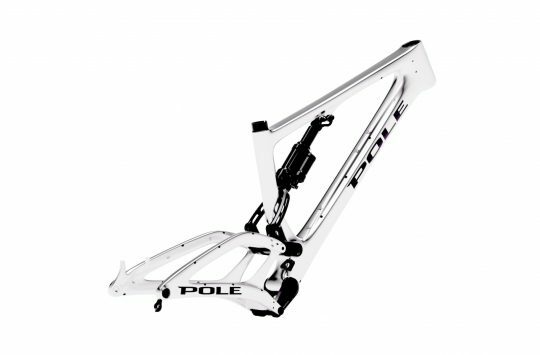 We hope an XXL frame will also be offered in the future to as larger riders might prefer a longer cockpit than 500mm. Each bike comes with the same length 435mm chainstays and a 40mm stem, but Canyon does spec higher rise bars and longer dropper posts on the larger models. Pricing for the 2019 Canyon Strive range is pretty impressive considering that all bikes come with a full carbon frame and the updated Shapeshifter system. The base model CF 5.0 will set you back £2,699, while a flagship limited edition bike with ENVE wheels and Fox Suspension is priced at £6,349. You can also choose to buy the top-end CFR 9.0 LTD frame only for £2699 and build your own bike up too. 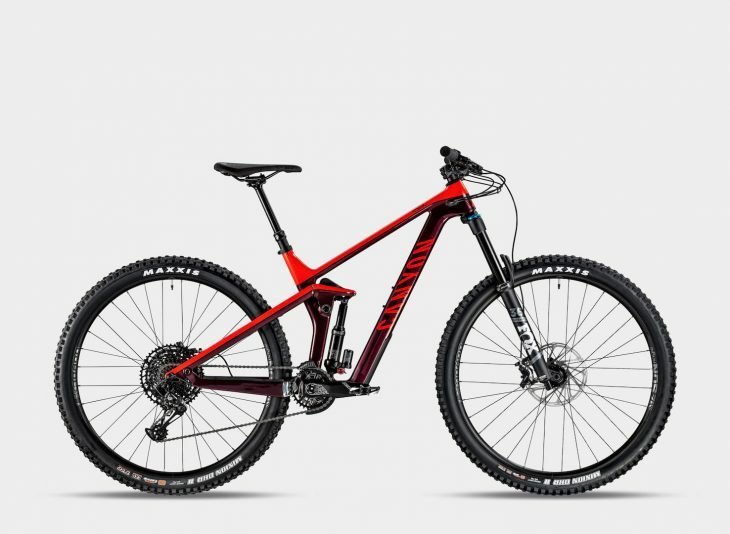 2019 Canyon Strive CF 8.0. 2019 Canyon Strive CFR 9.0 Team. 2019 Canyon Strive CFR 9.0 LTD.
For more details on the new Canyon Strive read our first ride impressions here. A 73 degree seat angle, and a 660mm ETT on a large? The other measurements seem up to date, but at 180cm I’d be forced to ride a medium, with a 440 reach, which is tiny for me. Swing, and a miss. *If the geometry measurements are correct. Well I’m logged in but still can’t see the article.